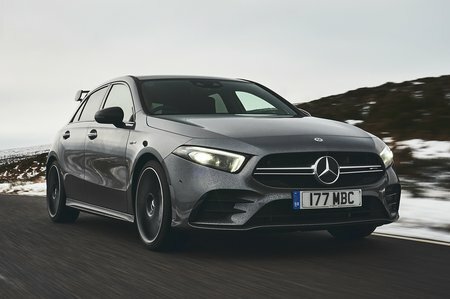 Mercedes-AMG A35 Running Costs, MPG, Economy, Reliability, Safety | What Car? The A35 is pricier than our favourite hot hatch, the Civic Type R, and doesn’t exactly back this premium up with a wealth of kit. 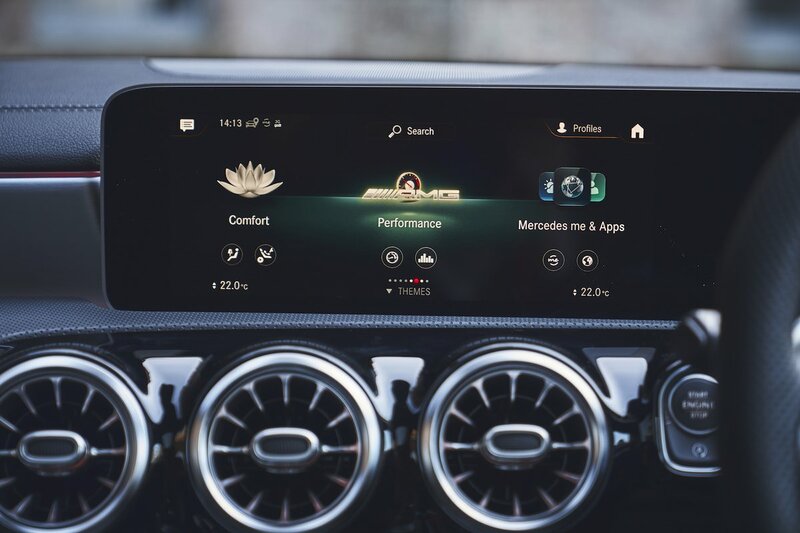 Although standard equipment includes two-zone climate control, keyless start, a reversing camera and a pair of 7.0in screens for infotainment and instruments, you don’t really get any more than in a regular A-Class. By the time you’ve added flashy paint, one of the equipment packs and smartphone connectivity, you can easily pay a five-figure sum that starts with a four for your A35. We’d just stick to the Premium Pack to get a pair of 10.25in screens, leather seats that are heated up front, keyless entry, front and rear parking sensors, an upgraded stereo and a central rear armrest. 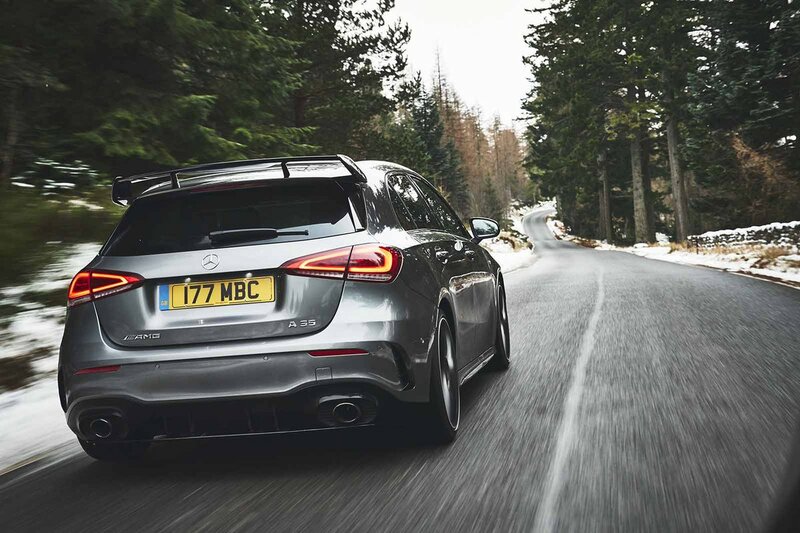 Emissions are pretty competitive at 167g/km, with official fuel economy figures as high as 38.7mpg, which clearly assume you can avoid using all 302bhp all of the time. That forecast will also get worse should you pick the bigger optional 19in wheels. Safety is one of the A35’s strong points; the A-Class proved to be the best in its class in Euro NCAP’s 2018 crash tests. To help you avoid testing its crash-worthiness credentials, though, the A35 comes with automatic emergency braking, lane-keeping assistance and an attention monitor. Strong performance, a grippy chassis and a seriously classy interior might impress, but adrenaline junkies should look elsewhere.